When you think of Superman’s costume, what do you think of first? The cape? Fair. The S-Shield? Good one. But you probably also think of red undies, proudly worn outside the blue suit instead of, well, under it. They’ve been gone for a while, and are making a triumphant return soon... but they may not be here for long. The celebratory Action Comics #1000 was heralded with a statement that could only really be made with a serious face in the wonderfully silly world of superhero comics: the underwear is back. Aside from long-lost stories, heartwrenching new ones, and the dawn of a new era for the Man of Tomorrow, one of the special issue’s biggest draws for fans was that, after the New 52 de-undergarmented Superman’s iconic design 7 years ago, the classic Superman look would be making a triumphant return. I knew when I took them off in the New 52 that they were going to come back, it was just a matter of time. We figured the 1000th issue was as good a time as any. The danger with creating new costumes is that someone always loves it, so I’m sure the trunks will leave again at some point. At the end of the day, I have no horse in the race. I have fun drawing both. 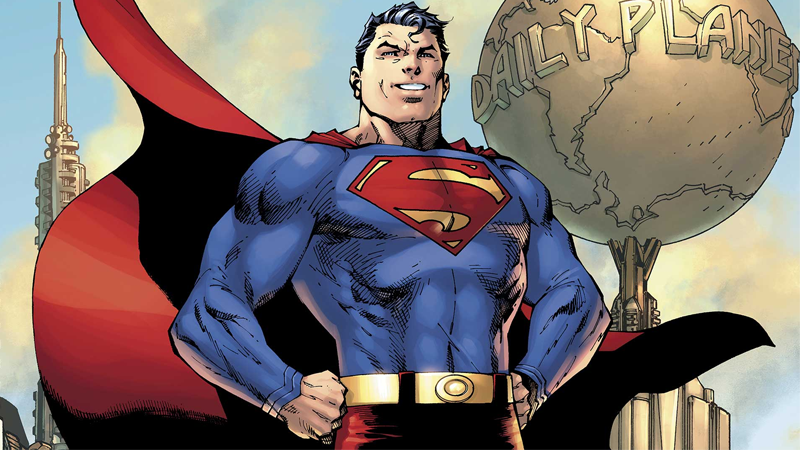 Bits and bobs of Superman’s costume have been tweaked and altered over the years—most recently with the onset of DC Rebirth, which gave Superman his red boots back after a brief absence, as well as the full belt he’d lost in the New 52 (in red, though—the yellow belt is making its return to hoist up the red underwear in Action Comics #1000). But even then, with all those tweaks and updates, the underwear has remained iconic, even with its long absence. Nothing says superheroism quite like wearing your underwear on the outside, apparently. Even if Lee is right, and one day we will live in an underwearless dark age of Superman comics, let’s hope that it’s in a distant future. Is it a Bird? Is it a Plane? No, it's some guy wearing his underwear on the outside!